Please note that Opera is not officially supported, however, our browser extension can be installed and used in this browser. Here is how to get Dashlane to work in Opera on Windows and macOS. Click on Add to Opera on that page. It will be added to Opera but disabled. Here is how to enable it: click on the Opera button in the top-left corner and select Extensions → Extensions manager in the menu to open the Extensions page. Then click Enable for the extension named Download Chrome Extension. Click on Add extension on the next screen to confirm – if you don't see this screen, you need to install Dashlane from your Extensions manager. To do this, skip this part and go directly to step 8 below. It will be added to Opera but disabled. Here is how to enable it: click on the Opera button in the top-left corner and select Extensions → Extensions manager in the menu. 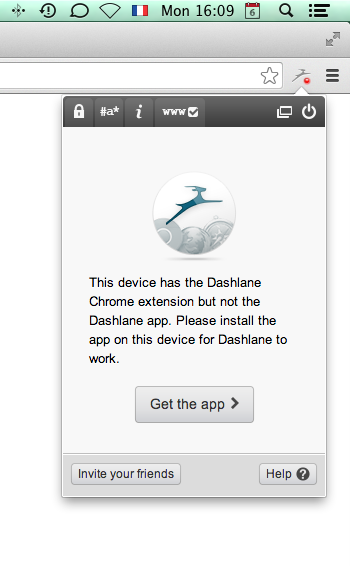 Then click Enable (or Install) for the Dashlane extension. Dashlane will now work in your Opera! Make sure you are signed in to your account in Dashlane and the icon will show in teal in your browser toolbar. If it shows in grey instead, it means you are actually signed out. In this case, click it or open the Dashlane application to sign in. It will be added to Opera but disabled. Here is how to enable it: open Opera and select View → Show Extensions in the menu bar at the top of the screen to open the Extensions page. Then click Enable for the extension named Download Chrome Extension. It will be added to Opera but disabled. Here is how to enable it: open Opera and select View → Show Extensions in the menu bar at the top of the screen. Then click Enable (or Install) for the Dashlane extension. Dashlane will now work in your Opera! Make sure you are signed in to your account in Dashlane and you should see it in teal in your browser toolbar. If you see in grey instead, it means you are actually signed out. In this case, click it or open the Dashlane application to sign in. It will be added to Opera but it may be disabled. 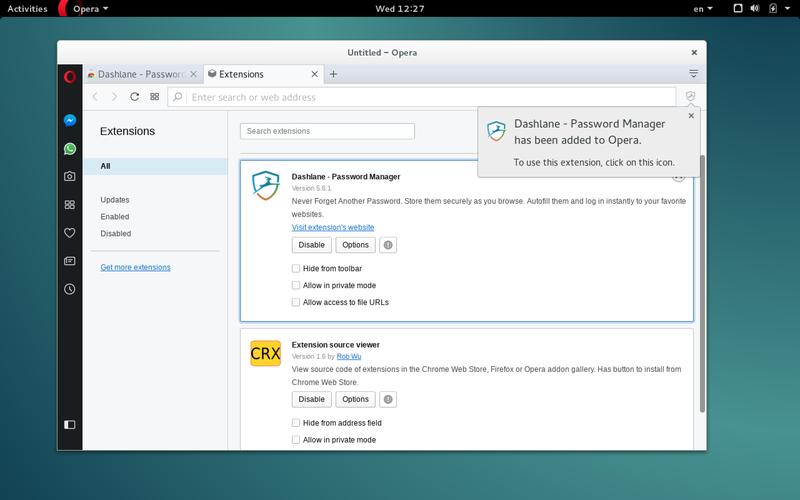 In this case, here is how to enable it: open Opera and go to about://extensions to see your Extensions page. Then click Enable next to the extension named "Extension source viewer". In the upper right corner of the window, click the yellow button labelled CRX and select Install to install the Dashlane extension. Click on Add extension on the next screen to confirm – if you do not see this screen, you need to install Dashlane from your Extensions manager. 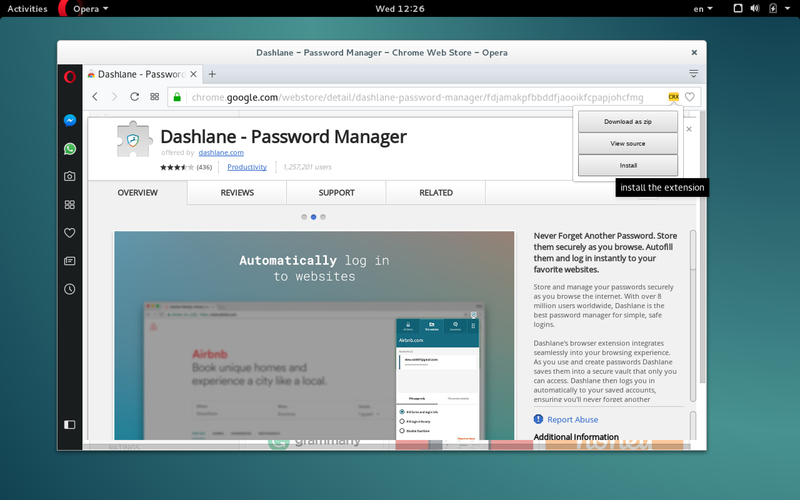 To do this, go to your Extensions page again in Opera, find Dashlane in the list and click Install. The extension will be downloaded and installed in your browser. Dashlane will now work in your Opera! Click the extension to open Dashlane in your browser and log in or sign up if you do not have a Dashlane account yet. The icon will be displayed in teal in your browser toolbar. If you see it in grey instead, it means you are actually signed out. In this case, click it and log in. 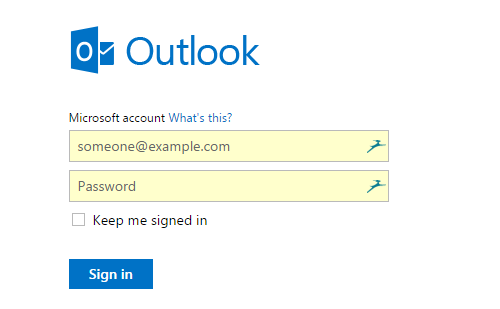 To check that your extension is properly working, visit live.com (for Outlook) or google.com (for Gmail) for instance. If you do not see anything in the fields, please check that your Dashlane icon is enabled and active and press CTRL R (Windows) or CMD R (macOS) to refresh the page. These impalas in the fields will be blue if you already have an Outlook or Gmail account, or grey if you do not have one. For info more about impala colours, please refer to this guide. Click on the Opera button in the top-left corner and select Extensions → Extensions manager in the menu. 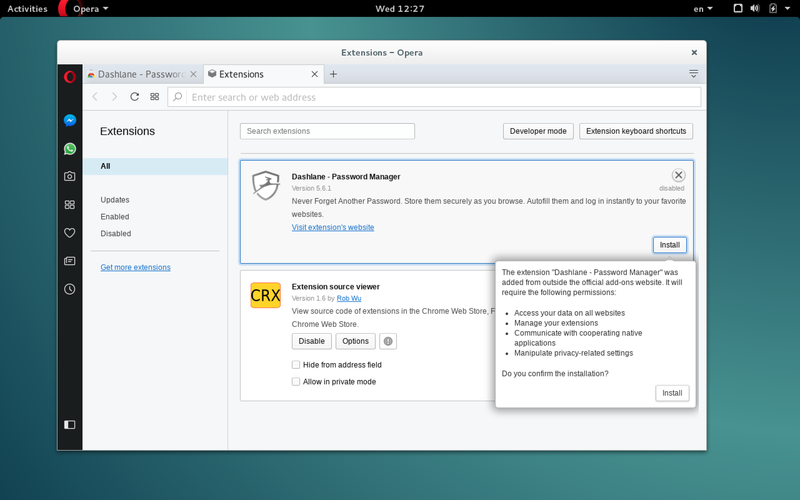 Find Dashlane in the list and click the x button in the top-right corner to remove the extension. Do the same for the Download Chrome Extension and click the x button in the top-right corner to remove it. Now click here and follow the instructions to install the extension again. Open Opera and select View → Show Extensions in the menu bar at the top of the screen. Open Opera and open your list of Extensions. 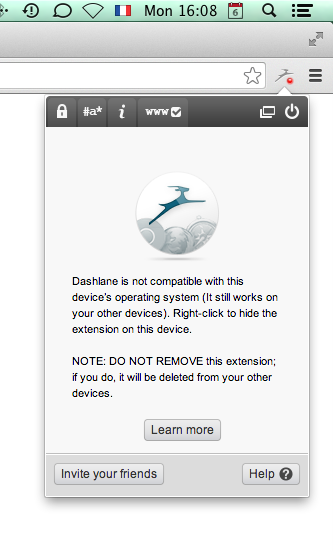 Find Dashlane in the list and click the x button in the upper right corner to remove the extension. To remove Extension source viewer, click the x button in the upper right corner as well. Now click here and follow the instructions to reinstall the extension. This problem can happen when you install the Dashlane browser extension on a system that is not supported or that is running an outdated version of Dashlane. Dashlane is not compatible with this computer. See the list of support operating systems here. Find Dashlane in the list. You just need to click on Get the app or on this link to download Dashlane on your computer. After you installed the application, the extension will be working in Chrome. 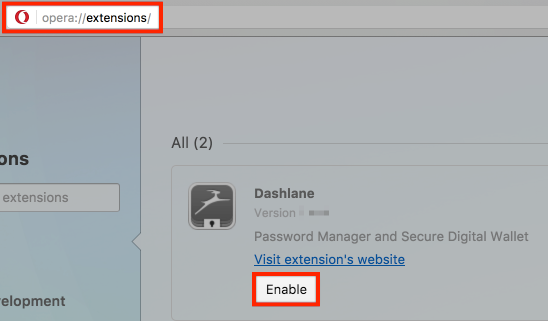 You can learn how to install the Chrome extension from the Dashlane application by referring to this section. Simply right-click your Dashlane icon and go to Properties. 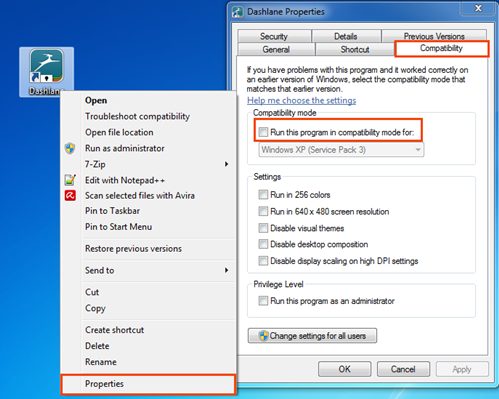 Then go to the Compatibility tab and make sure you uncheck Run this program in compatibility mode for and click on Apply. You might also need to make sure that none of the options in Settings or Privilege Level are checked either. Then restart your computer and launch Dashlane again.